What do our favorite Pokémon have to scream about? Humanist expressionism, apparently. The fighting critters are part of a new collaboration being held at the Tokyo Metropolitan Art Museum. The museum will be hosting an exhibition of artwork by expressionist painter Edvard Munch — including, of course, his iconic work The Scream. Munch: A Retrospective will feature 100 pieces including 60 oil paintings, and will mark The Scream's long-anticipated first showing in Japan. 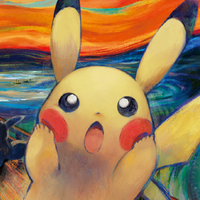 As a tie-in event, the Pokémon trading card game will be offering five exclusive cards drawn in the style of the famous painting. 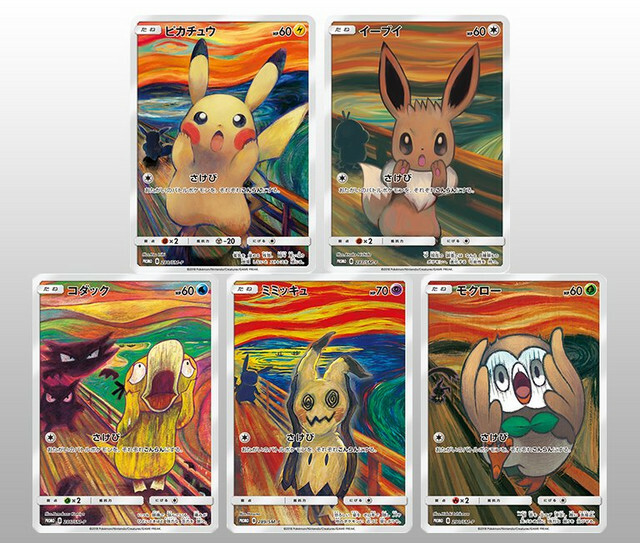 The cards feature Pikachu, Eevee, Psyduck, Mimikyu, and Rowlet... and if you keep an eye on each card's background, you can almost see a story start to unfold. 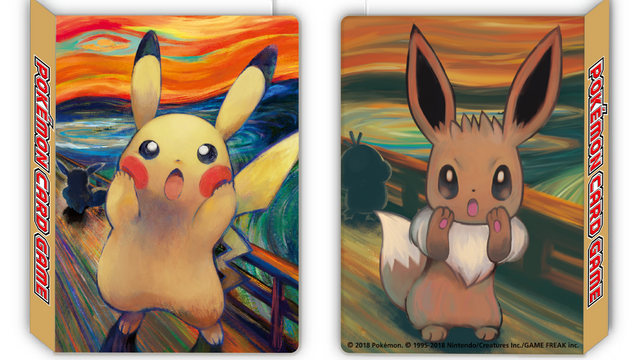 Fans who want a trading card featuring their favorite Pokémon doin' a big screm can obtain them in one of three ways. For Psyduck, Eevee, and Rowlet, one card of choice will be included with purchases of specific booster packs at Pokémon Centers in Japan starting November 2. A Mimikyu card will come with the purchase of either the Eevee or Pikachu mini card folders (seen above) starting October 27. As for the elusive Pikachu... information on how to catch him will be coming in the near future.